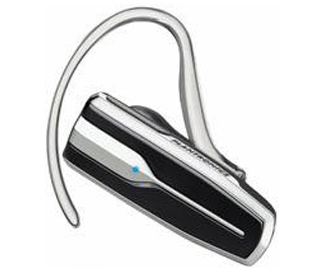 The Plantronics Explorer 395 is an attractively styled, universally compatible headset that¿s extremely easy to use. Going hands free is simple with this reliable headset that features separate buttons for volume, power on/off, and call answer/end. An ergonomically designed swivel earloop and a contoured eartip offer you a comfortable, stable fit. Spend less time hassling with your charger thanks to a long-lasting battery that provides up to 5 hours of talk time and 7 days stand by time. Careful microphone placement reduces wind noise, enhancing Plantronics signature high-quality audio performance.